Visit Black Diamond's 02 Binding page. The Black Diamond 02 Telemark Bindings provide the power and control that hard-charging tele skiers need to push the limits. 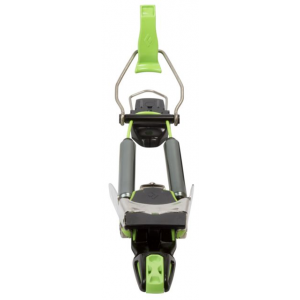 Under-foot compression springs create a progressive flex that makes the O2 Telemark Bindings a great choice for driving big sticks. 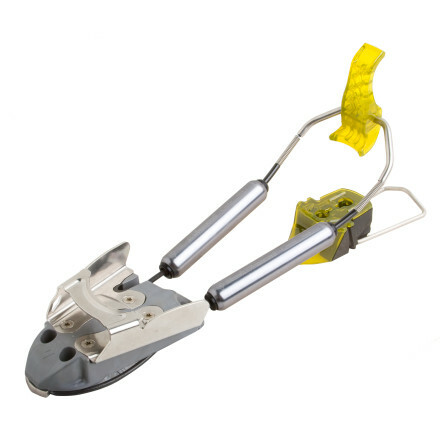 Black Diamond designed them with a solid heel wire to increase torsional stability for snappy edge-to-edge transitions. The O2 Bindings have what it takes to launch a massive cornice or power some fatty planks in funky, beat up snow. 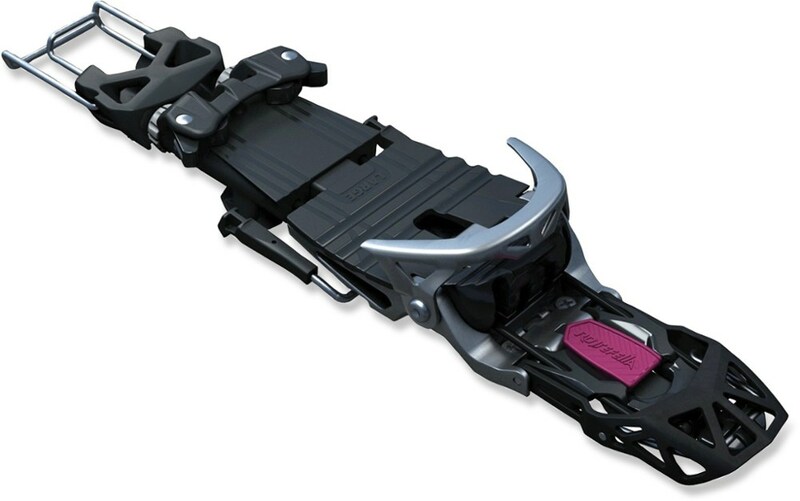 Black Diamond's inbounds ripper, the O2 binding transmits power from big boots to big skis-it's the precision choice for today's aggressive skiers.This product will be shipped directly from Black Diamond and will leave their warehouse in 2-3 business days. Eligible for UPS ground shipping only.. . . Superior power transmission and bomber construction for on-piste performance. 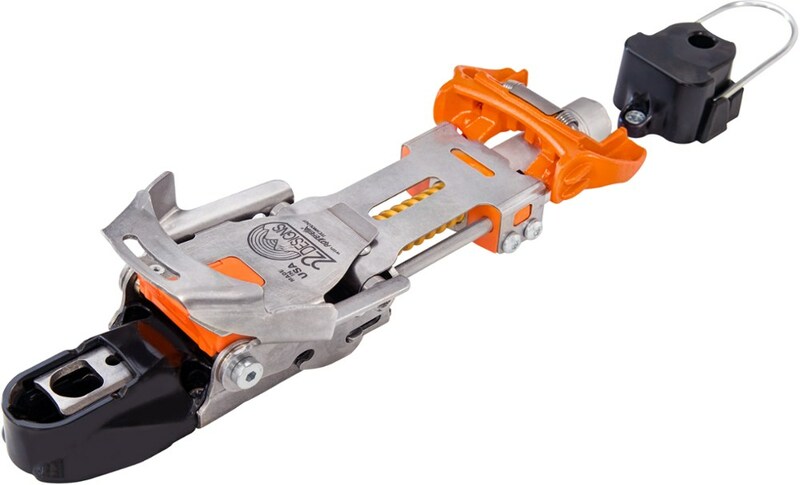 Solid wire heel yoke for torsion resistance and lateral stability; stainless steel toe box. 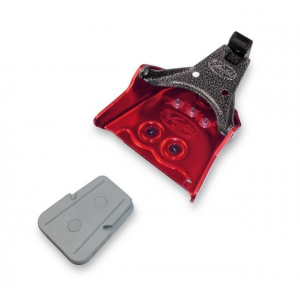 Integrated variable height toe riser matches boot shapes for maximum power and control. Durable under foot cable routing provides progressive power; naturally transfers power through the turn. Best matched with a stiff boot; O2 fits Mondo 26.5 and up. 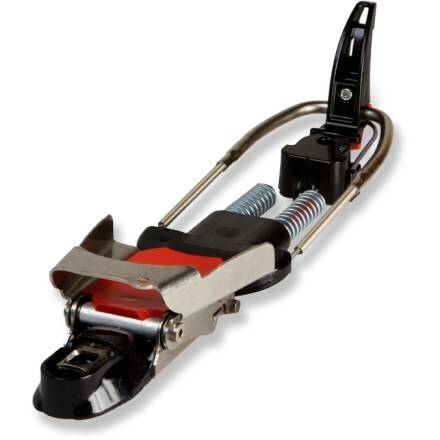 Three interchangeable compression spring cartridges allow you to adjust the flex to you preference, skiing style, or the snow conditions. Includes climbing wires, mounting hardware, and paper jig. The Black Diamond 02 Binding is not available from the stores we monitor. It was last seen January 9, 2018	at Backcountry.com.